More Beautiful Than Silence might sound like faint praise when it comes to music, but that isn't stopping Toronto-based rap hero K'naan from using it for the title of his new EP. The five-song collection will be released digitally on January 31. 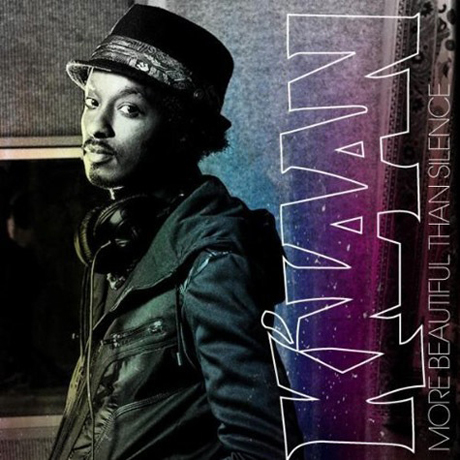 K'naan has had a massive explosion in popularity in the last couple of years, largely thanks to his anthem "Wavin' Flag" being used as the theme song for the 2010 FIFA World Cup. Accordingly, the Somali-Canadian rapper recruited some big stars to appear on the new EP; Nelly Furtado guests on "Is Anybody Out There," while Nas contributes to "Nothing to Lose." As Rap Up notes, this EP will set the stage for K'naan's upcoming full-length album. This January 31 release date for More Beautiful Than Silence is a week later the original date of January 24, which K'naan previously announced on Twitter. 3. "More Beautiful Than Silence"